"There is hope for the hot-rodders: MINE'S is rumored to be the first tuner to crack the GT-R ECU. And though Niikura-san admits his ECU modification is a work in progress, he was able to demonstrate the following during our recent visit. 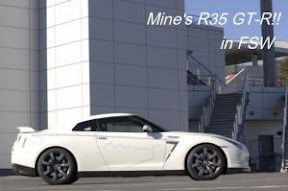 MINE'S gave us a performance demonstration with two GT-Rs, one stock, the other modified by MINE'S." "The modified GT-R was able to run at 192.6 mph (310 kph) while the factory spec GT-R was unable to go past 111.8 mph. Niikura-san told us he's in the last stages of overcoming the boost and speed limit as well as making it possible to make adjustments to VTC (variable cam timing system), air/fuel ratio and throttle position. Since our visit, reports have surfaced that MINE'S has just released a version of its VX-ROM product designed to override the ECU's limiter function."